As roofing professionals with more than 30 years of experience, many will assume that all we do is swing hammers and slop new tar on the roof. Nothing could be further from the truth. Roofing, like many other things, has grown to depend more and more on technology. At S&S Roofing we realized long ago, if you do not adapt, your business is in trouble. Years ago, many roofing materials were composed of asbestos-derived products. When asbestos was finally discontinued as a viable material, the industry had to adapt and find alternatives. Now we take for granted the innovations that came out of this time. 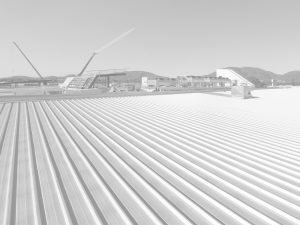 Products like composite materials, ultralight coatings and better metal roofing were all introduced to the commercial roofing industry. Regardless of what sort of advanced materials were utilized on the roof, it was still very difficult to find weak spots or areas that needed to be reinforced, that is until thermal testing became prevalent. Thermal testing is the easiest way of checking the efficiency of a commercial roof. Many times, the roof is the last thing that a building owner will think about when it comes to routine maintenance. This is due to the relatively light, to nonexistent traffic that a commercial roof will have, it can be a case of out of sight, out of mind and it is not necessarily the building owners fault. A flat, or low angle roof needs routine maintenance or it will begin to deteriorate due to the lack of pitch. This can lead to internal leaks, structure damage and even a roof collapse in heavy snow conditions. In order to prevent this sort of catastrophe it is critical to have a roof inspection done at least once a year. Ideally, however the roof should be looked over about three or four times a year. This includes infrared/thermal testing. Thermal testing can determine if your roof has problems that are not evident to the naked eye. This is referred to as nondestructive testing and does not require the roof to be disturbed in order to diagnose an issue. At S&S Roofing we are your local inspection and thermal imaging professionals. Please give us a call to set up your commercial roofing inspection, nondestructive testing and maintenance appointments before winter is upon us. Contact us today!